Wonderful fun dress for girls from Rare Editions. 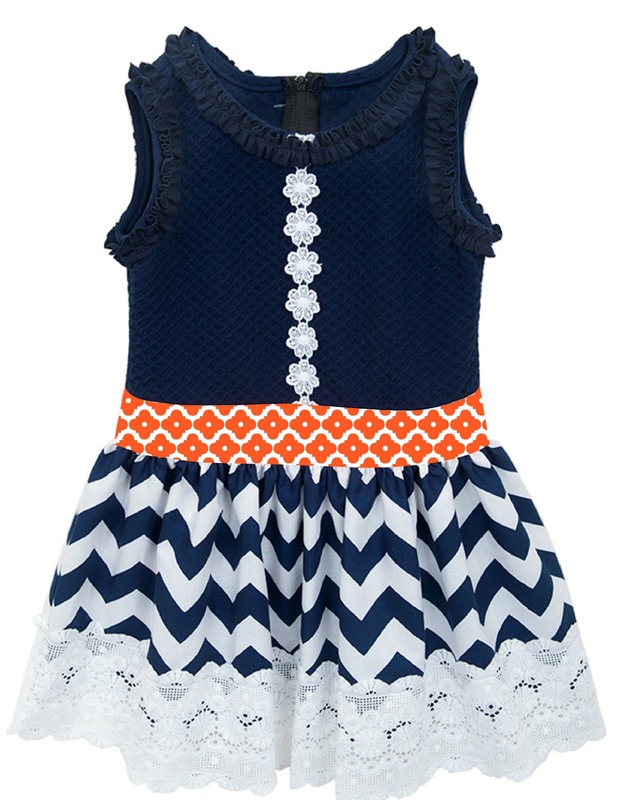 Navy textured knit bodice dress features woven chevron lace trim hem and accent sash. Perfect for any occasion.